Prague(in Czech: Praha) is the capital and largest city of the Czech Republic (Ceska Republic) in Central Europe. 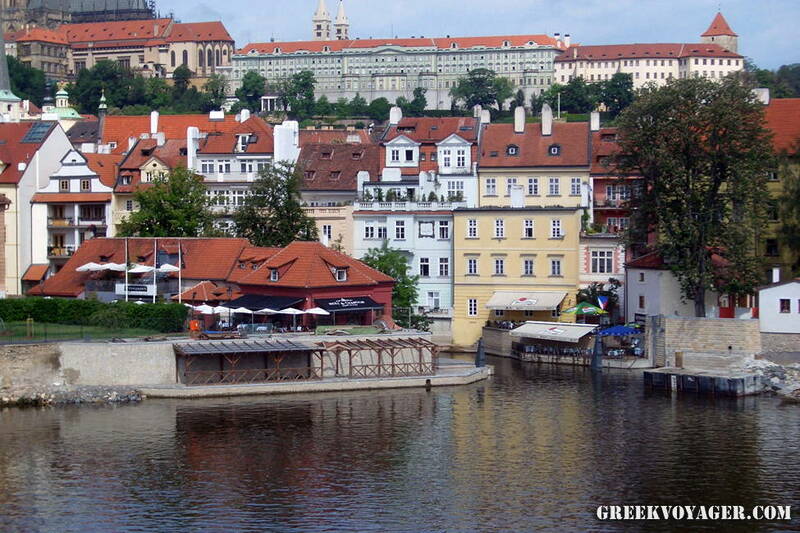 It is located in the northwest of the country, built on the banks of the river Vltava. The city has a population of 1.3 million inhabitants, while the largest urban area has about 2 million inhabitants. 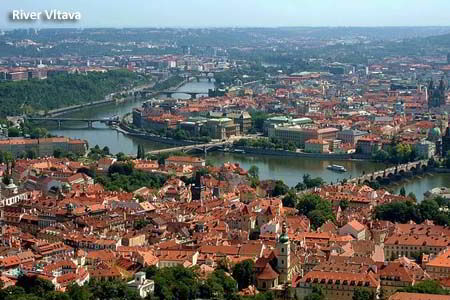 Since 1992 the great historic center of Prague is included in the UNESCO list of World Heritage Sites. On the one side of the river Vltava are the Prague Castle and the Lesser Town and on the other side the Old Town, the Jewish Quarter and the New Town.The two sides are joined by the famous Charles Bridge. On both sides there are historical squares and numerous monumental buildings, cathedrals, golden towers and various other monuments created from the 9th century onwards, during the eras of European history, in which Prague played an important role as the capital of Bohemia. Apart from the castle, churches, bridges and buildings, many of the city's history can be known and admired in its many museums. There are more than ten major museums and many other smaller, but with a special interest. Some of them are the National Museum, the Museum of the Capital City of Prague, the Jewish Museum, the Alfons Mucha Museum, the African-Prague Museum, the Museum of Decorative Arts and the National Gallery. Prague is also a modern and vibrant city. There are many theatres – from the National Theatre to the famous Black Theatre – galleries and cinemas. Music has always had an important role in city life; from the amazing jazz musicians on Charles Bridge to the music clubs, the concert halls and above all the Estates Theatre, where the premières of Mozart’s Don Giovanni and La clemenza di Tito were held, the Rudolfinum (Czech Philharmonic Orchestra), the Municipal House (Prague Symphony Orchestra) and the Smetana Theatre (Prague State Opera). Prague hosts many cultural events; music festivals as the Prague Spring International Music Festival, the Prague Autumn International Music Festival and the Prague International Organ Festival, film festivals, the Prague Writer’s Festiva, the Prague Folklore Days, the Prague Advent Choral Meeting and other. 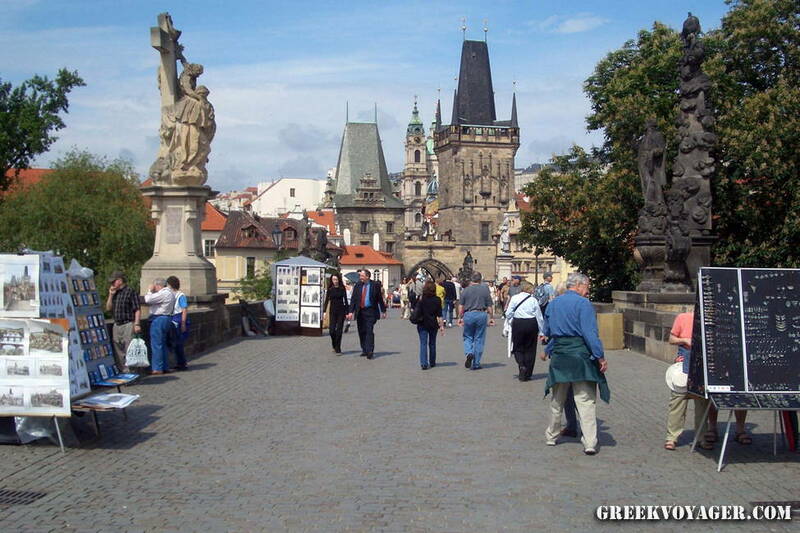 Prague is one of the greatest tourist destinations. We can go by plane, train and bus; of course with our vehicle as well. 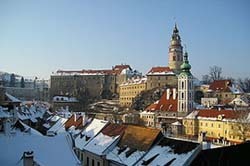 Prague is also one of the popular weekend city destinations. 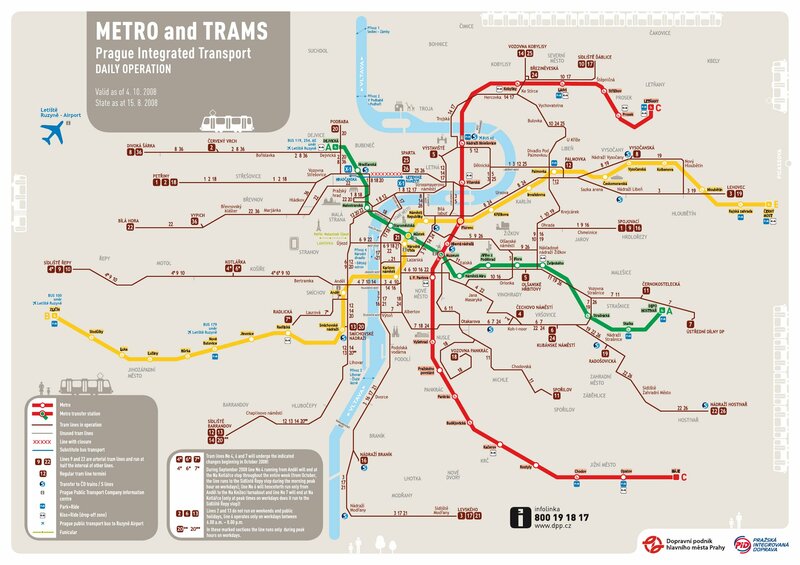 For traveling around the city we can use the metro, bus or tram. But the best way to discover the city and feel its atmosphere is simple: walk and see! Prague offers all the facilities for a pleasant stay, good food and fun. There are many large and small hotels and restaurants. We should not forget the famous Czech beers. 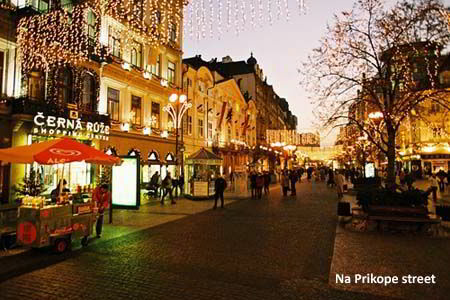 For shopping those who know the city say that we can take "Na Prikope" street, where are the famous shopping arcades "Cerna ruze" and "Palac Myslbek" and many shops. For souvenirs there are many gift shops aroung Old Town Square, Wenceslas Square and Prague Castle. Those who know better propose to take a look in the small streets, as also in the street vendors around Charles Bridge. There are many shops selling the famous Bohemian crystals, especially in the lower end of Wenceslas Square. The area was inhabited in ancient times by people of Celtic origin; from them came the name Bohemia.In the 1st century AD came Markomanni of German origin and in the 6th century Slavic people. In the 8th century they faced the invasions of the Avars and then created the state of Great Moravia, which included Moravia and Slovakia, and the vassal state of Bohemia. In 906 Great Moravia was conquered and dissolved by the Magyars. Slovakia remained under their rule, while Moravia was united with Bohemia. Bohemia declared a kingdom. 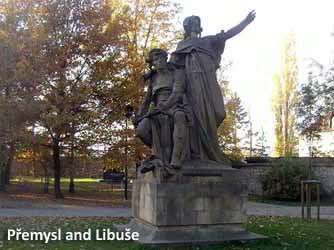 According to the legend, Prague was founded by the Czech duchess Libuše and her husband, Přemysl, founder of the first dynasty. Around 800 there was a fort with wooden structures on the left bank of the river Vltava. In 870 the Prague Castle was founded. In the mid of the 10th century another castle, the Vyšehrad, was founded on the right bank of the river. The two castles were the centers of the princes of the first dynasty, who were often in conflict. The 935 Prince Venceslaus assassinated by his brother; later was declared a saint and became the protector of Bohemia. In 1158 King Vladislaus built the first bridge on the river, named Judith Bridge (Juditin most) in honor of his wife Judith of Thuringia. In 1257, in the reign of Ottokar II, the Lesser Quarter (Malá Strana) was founded on the left bank of the river under the Castle; it was the district of the German people. On the opposite bank the Old Town (Staré Město) was developing. Due to its location, the area attracted traders from the old days. From the 10th century the market square of the Old Town was well known. Among the merchants were many Jews. 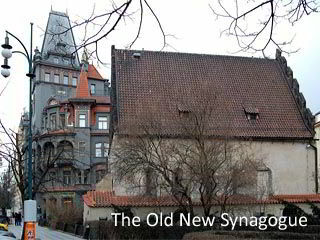 The Old New Synagogue was founded in 1270. In 1306 the first dynasty ended, and in 1310 Prague was dominated by the Luxembourg dynasty. In 1346 began the reign of Charles IV. It was the golden age of the city. Charles IV, Emperor of the Holy Roman Empire and King of Bohemia, who lived in Prague since 1333, created an imperial capital. In 1344 he began the construction of Saint Vitus Cathedral in the Castle, the same year when Prague became an archbishoric. In 1347 he founded the Charles University – still the oldest university in Central Europe – and in 1348 the New Town (Nové Město) adjacent to the Old Town. On July 9, 1357 he personally placed the first foundation of the Charles Bridge, which replaced the Judith Bridge destroyed by the flood in 1342. He also founded many Gothic churches and monasteries. The 15th century was a period of great turmoil. In 1402 the theologian and rector at the Charles University Jan Hus began preaching in Prague talking about the need for radical reforms in a corrupt Church. He became too dangerous for the political and religious establishment and condemned as a heretic was burned in Constanz in 1415. His death was the cause of a revolt in 1419 and the outbreak of the Hussite Wars. In 1526 Bohemia passed in the sovereignty of the House of Habsburg with Ferdinand I. In the reign of Rudolf II, elected King of Bohemia in 1576, Prague lived a new period of flourishing. Rudolf II, who became Emperor of the Holy Roman Empire, chose to live in Prague. His court in the Prague Castle was a paradise for scientists, musicians, artists, but also for alschemistes, astrologers and magicians. Rudolf ΙΙ was more interested in the collections of art. The art and architecture were dominated by the Italians and the spirit of the Renaissance. But the fervent Catholicism of the members of the House of Habsburg did not take long to lead to serious problems and finally to war, as in Bohemia the Protestant ideas prevailed. In 1618, while Ferdinand II was emperor, Prague became the center of the Protestant revolt and the terrible Thirty Years’ War began; it was the last European religious war and destroyed most of central Europe. Prague suffered a lot and after the end of the war in 1648 a period of decline began. From 60,000 inhapitants before the war the population decreased in 20,000. But it began to increase again. In 1689, a great fire devastated Prague, but the city was rebuilt and renovated. The period of decline ended, and by the 18th century the town began to prosper again. It was the era of Baroque style. Many palaces, gardens and churches are from that time. During 1706 - 1714 the Charles Bridge was adorned with magnificent statues. In 1771 the inhabitants were 80,000; many were rich merchants and nobles who built their palaces. In 1784 the four town-municipalities of the Castle Region, the Lesser Town, the Old Town and the New Town were joined to one city. It was the era of Emperor Joseph II. At the time the discrimination against Jews decreased somewhat. The Jewish Quarter was called Josefov in his honor; but it was included as a part of the city only in 1850. 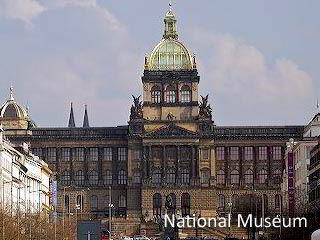 In the 19th century, the National Museum, the National Theatre, the Rudolfinum and other major monumental buildings were built. In 1848, the year of revolutions in Europe, a National Council was founded in Prague and a Slavic conference was held seeking recognition from the Austro-Hungarian Empire of the Slavic nationalities. The Austrian army stopped the conference, stifled a student concentration and the bohemian capital came under military occupation. In 1848 in Prague was a German majority, but in the following years the Czech national movement began rising and in 1861 was the majority in the town council. The proportion of people who spoke German continued to decrease as the population of the city grew with the influx of Czechs from other regions of Bohemia and Moravia, while the Czech language prevailed and the national assimilation was increasing. The defeat of the Austro-Hungarian Empire in the First World War signaled the independence. On 28 October 1918 the independent state of Czechoslovakia was proclaimed. Prague was the capital and Prague Castle the seat of president. The city had about 850,000 inhapitants. But the adventures did not end. One of the major problems was the existence of minorities. In the country lived also Germans, Poles and Hungarians. Czechoslovakia was dissolved by Hitler in March 1939. 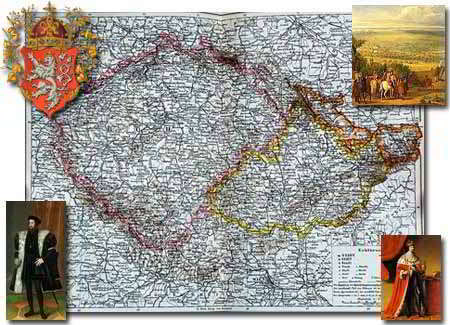 Germany annexed some areas and with the rest, without Slovakia, created the Protectorate of Bohemia and Moravia. The adventures did not end after the Second World War. Czechoslovakia was reconstituted and after a turbulent period was led in the Eastern bloc. In 1968, the Prague Spring led by Alexander Dubček opened the way to reform, for “a socialism with a human face”; but the invasion of the forces of the Warsaw Pact shattered all the hopes. 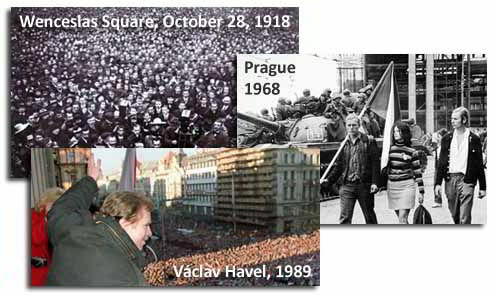 At the time of Gorbachev on November 17, 1989, thousands of people crowded the squares and streets of Prague. The "velvet revolution" led to the overthrow of the communist regime. The "velvet divorce" in 1992 brought the separation and independent course since 1993 of the Czech Republic and Slovakia. How long does it take to see all the sights of Prague? Good question! Difficult to answer! There are so many! Depends on the time we have at our disposal and the courage to walk! But there are several sights which must be seen; from the Castle and the Lesser Town to the Old Town and the New Town passing from the Charles Bridge. Prague Castle and Hradčany. The Castle area and Hradčany is the historic district of Prague at the highest point of the city on the left bank of the river Vltava. The Prague Castle is considered as the biggest ancient castle in the world. 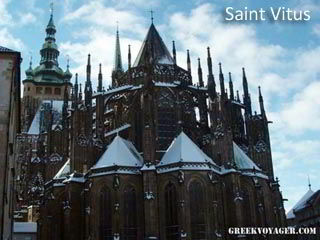 It includes the Saint Vitus Cathedral, churches, palaces, museums, courtyards and gardens. We can watch the changing of the guards of the Presidential Guard. Lesser Town (Malá Strana).The Lesser Town (Malá strana) streches under the castle near the riverside. Here are the Czech Parliament and the most governmental authorities. There are beautiful historical streets and squares, churches, palaces and gardens. Saint Nicholas Church. The church of St. Nicholas is located in the Lesser Town Square. Its construction began in 1703 and ended in 1761. It is built in Baroque style and has wonderful statues, frescoes and paintings. Infant Jesus of Prague. The Infant of Prague (Jezulátko) is the famous statue of Christ, also known as the Holy Infant of Prague. We can see the original statue in the Church of Our Lady Victorious. Loreta. The Loreta is a beautiful Baroque convent. Petřín Hill. . The Petřín Hill with wooded slopes rises at a height of 318m to the west of the Lesser Town. On the top are the Lookout Tower (Petřínská rozhledna), a smaller version of the Eiffel Tower with amazing view, and the Mirror Maze, both from the Jubilee Exhibition in 1891; worthseeing also the Petřín funicular. Lennon Wall. The Lennon Wall, near a canal not far from the Charles Bridge; used to be a place of irritation to the communist regime. Charles Bridge. The most famous monument of Prague! The Charles Bridge (Karlův Most) began to be built in 1357 and is one of the greatest works of Charles IV. In 1706 – 1714 the birdge was decorated with wonderful statues. Today due to wear over the yeaes many statues are copies; the original are kept in the National Museum. The bridge connects the Old Town with the Lesser Town. On both sides are wonderful towers. 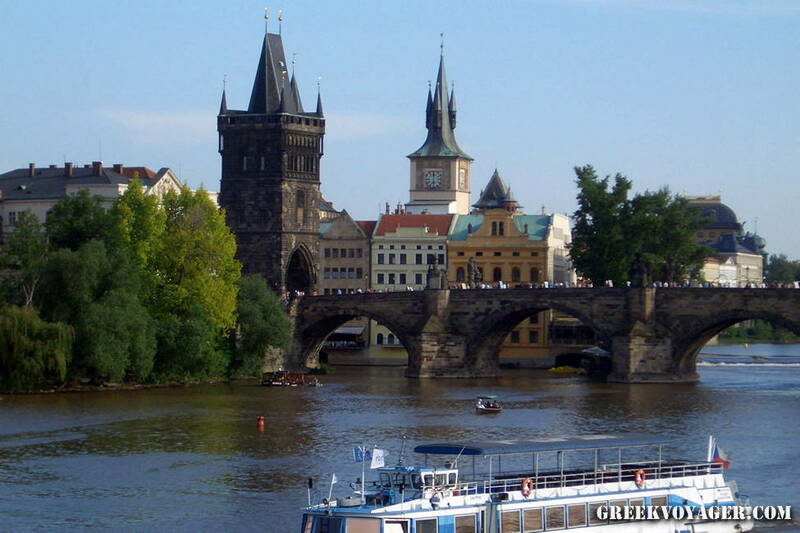 Especially the Gothic Bridge Tower on the side of the Old Town is considered as one of the most beautiful of its kind. The bridge is a pedestrian zone. It is one of the most popular and busiest places with musicians and artists selling paintings and jewelry. The days of high tourist season is so crowded that it takes time to go from one side to the other. In Old Town (Staré Město). The Old Town (Staré město), the heart of Prague, was founded in the 11th century on the right bank of the river Vltava. Around its square the houses and churches were built without a plan. The result was the creation of many roads, which today form the web of the Old Town. In the area are monuments, historic buildings and churches, museums, theaters and concert halls; also Carolinum, the university founded by Charles IV. Old Town Square (Staroměstské náměstí). The Old Town Square is one of the most beautiful squares in the world. Only for pedestrians, is surrounded by Gothic and Baroque historic buildings. The streets around are also pedestrian. On the south side Romanesque or Gothic houses impress with their colorful facades and emblems; around many restaurants, cafes and shops; also art galleries. Old Town Hall. The Old Town Hall is one of the most impressive buildings in Prague. It was founded in 1338. Today is a set of restored Gothic and Renaissance buildings. Of particular interest is the Towerat a height of 69.5 m, from which the view of the city is amazing. 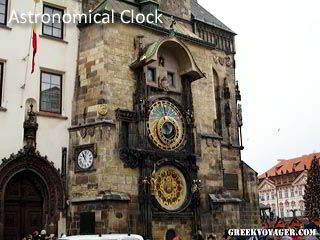 Astronomical Clock (Orloj). The Astronomical Clock in the facade of the Old Town Hall is one of the points that attract the greatest tourist interest. The first clock was placed in the early 15th century. It was reconstructed in 1490, and its mechanism was perfected in 1552 to 1572. Every hour the tourists stand in front waiting to see the movement of the twelve Apostles and to hear in the end a rooster and the sounding of the hour. Municipal House. The Municipal Houseis the mst famous Art Nouveau building in Prague. There a royal palace existed in the old days. The building was abandoned for years. In the early 20th the current building was built. It is a cultural center with rooms for exhibitions, concerts and other events. Most famous is the Smetana Hall with its impressive glass dome. In this building on 28 October 1918 the independent state of Czechoslovakia was proclaimed. Church of Our Lady before Týn (Kostel Matky Boží před Týnem). The Gothic Church of Our Lady began to be built in 1365. In the 15th century was very important for the reform movement in Bohemia. 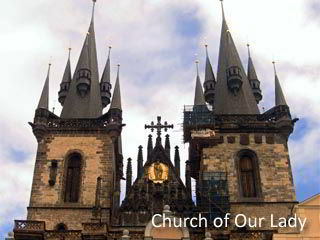 It was the most significant Hussite church in Prague. The towers at a height of 80m and the magnificent spire is one of the most striking and typical images of the city. Saint Nicholas Church. The baroque St. Nicholas Church impresses with its imposing white facade. There a church from the 12th century existed. The present church was completed in 1735. During World War II housed the garrison of Prague and with the help of artists, the church was preserved. During the summer concerts are held. Jan Hus Monument. The Han Hs Monument stands in the Old Town Square.The unveiling of the monument took place in 1915 to commemorate the anniversary of five hundred years from Jan Hus’ death. Powder Tower (Prašná brána)The Gothic Powder Tower of the old city gates is what remains of a royal palace which stood at the entrance to the Old City. It took its present name in the 17th century, when it was used as an ammunition depot. Clam-Gallas Palace.The baroque Clam-Gallas Palace from 1713 is one of the most attractive buildings in Old Town among other impressive palaces. In Jewish Town (Josehof). The Jewish Townis the historic Jewish ghetto within Old Town. There are well preserved synagogues and other interesting attractions. Old New Synagogue (Staronová synagoga). The Old New Synagogue (Staronová Synagoga) is a vaulted Gothic building founded in 1270. 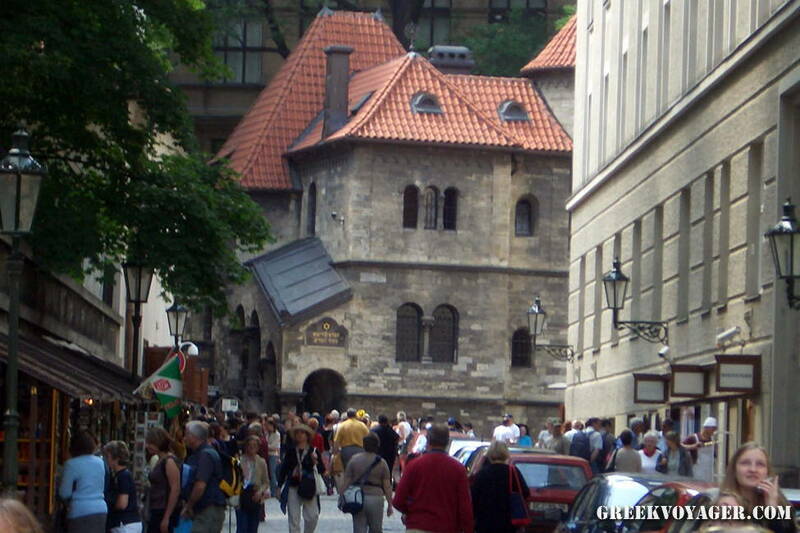 It is the oldest active synagogue in Europe and one of the earliest Gothic buildings in Prague. The residents of the Jewish Quarter often sought refuge here. Old Jewish Cemetery. The Old Jewish Cemetery is the oldest in Europe. It was founded in 1478 and is still today in extent like in middle Ages except for a small extension. Spanish Synagogue. The Spanish Synagogue is the newest synagogue in the district built in 1868 and a very interesting building with its high Moorish style decoration. 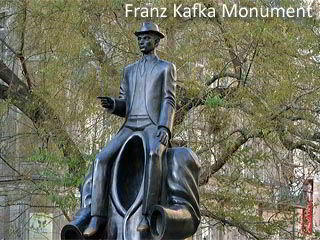 Next to Spanish Synagogue, in Dusni steet, is the Franz Kafka Monument; in the quarter also the Franz Kafka's house. In New Town (Nové město). The New Town (Nové město), adjacent to Old Town, was founded in 1348 by Charles IV. It was twice the area of the Old Town and was formed around three central markets; the Hay Market (Square Senovážné), the Market of Cow (Charles Square) and the Market of Horses (Venceslas Square). The area was inhabited mainly by merchants and artisans. In the late 19th century a large part was reconstructed in the form it has today. Venceslas Square. The Venceslas Square is the main attraction of the New Town. It is a rectangular commercial area with a lengh of 750m and a width of 60m. There are many Art Nouveau hotels, restaurants and shops. Especially fascinating are the arcades with shops, theaters, cinemas and clubs. National Museum. The National Museum with scientific and historical collections is at the top of Venceslas Square. The building was comptleted in 1890. In front of the National Museum is the huge bronze Equestrian Statue of St. Venceslas, placed in 1912. At the base are smaller statues of saints that protect the country. Here the student Jan Palácset himself ablaze in 1969 in protest against the invasion forces of the Warsaw Pact which overturned the Prague Spring. In 1989 a student demonstration in the square against police brutality led to the Velvet Revolution. 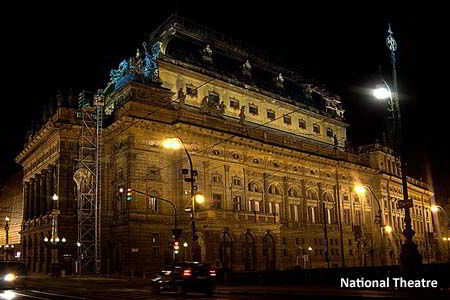 National Theatre. The National Theatre on the riverside is a neo-Renaissance building; main feature its golden roof. Charles Square. The Charles Square is the largest medieval square in Europe; a park from mid-19th century. Prague is a beautiful city, but it’s not the only place to visit. There are smaller towns that are just as beautiful as Prague and they’re less crowded. Český Krumlov a town known for its setting in a loop of the Vltava river and the colourful chateau tower that soars above the historic centre. 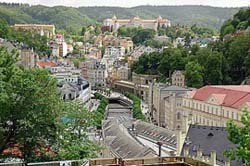 Karlovy Vary (or better known as Carlsbad) was world famous during its heyday as a spa resort for the leisured classes of 19th century Europe. 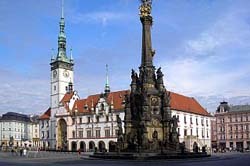 Olomouc (the old capital of Moravia) has the largest historic preservation zone outside Prague. Kutná Hora is popular for its chapel and elegant cathedral spires. 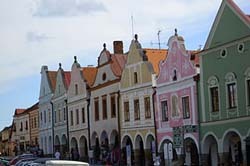 Telč is surrounded by tranquil lakes and has a pretty main square. In December, the Old Town Square and other squares and corners in Prague host Christmas Markets selling ornamens, gifts, souvenirs, mulled wine, punch and the traditional Czech carps. Before Christmas in the streets appear barrels full of live carp, a traditional Czech delicacy. The markets are an attraction in their own way and one more wonderful picture of Prague from our winter trip. to taste Prague beers. 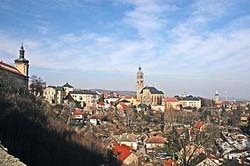 A brewery was recorded in Cerhenice in 1118. 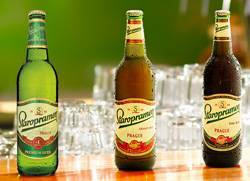 The quality of the Czech beer is based in the ingredients used and the balance between them. In Prague U Fleků is world's oldest brewpub. One wall of the brewhouse is decorated with the words "God bless the mother who gave birth to a brewer".